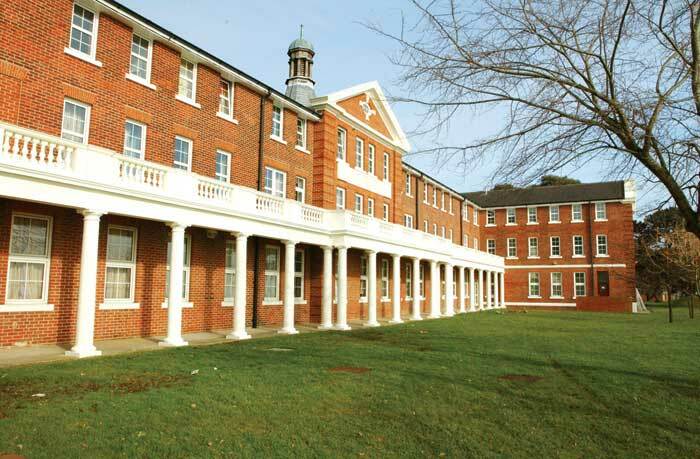 The Over the years The Royal Hospital Haslar has been home to many from Senior Officers & Physicians to the Nursing & Medical Staff and their families. Map showing the placement of the residential areas of the Royal Hospital Haslar site. 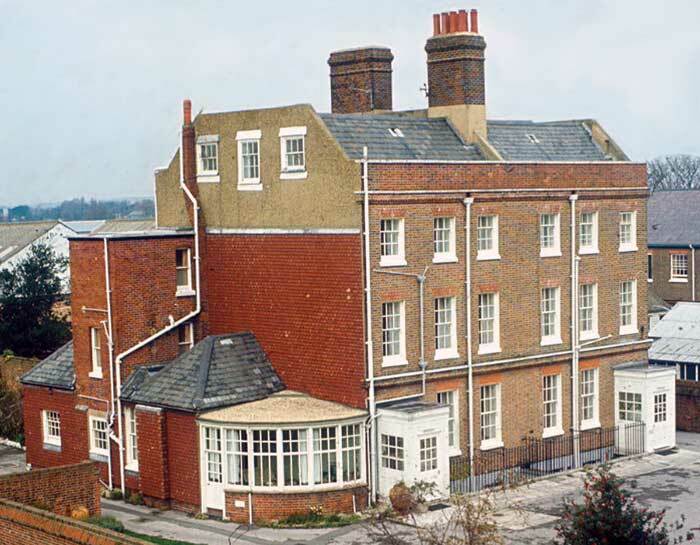 When Haslar was first built and opened in 1753 Officers employed in the Hospital were lodged with their families within the main hospital building. 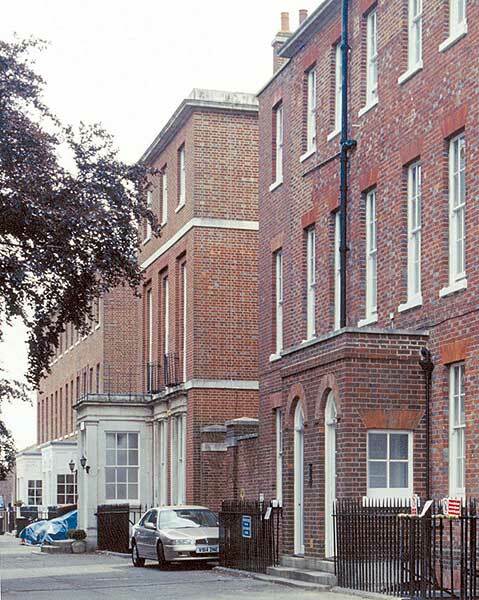 In 1756 houses were ordered to be built and when completed these comprised of the four residences - two on either side of the hospital frontage, two of which to this day still act as residences one being for the Commanding Officer. 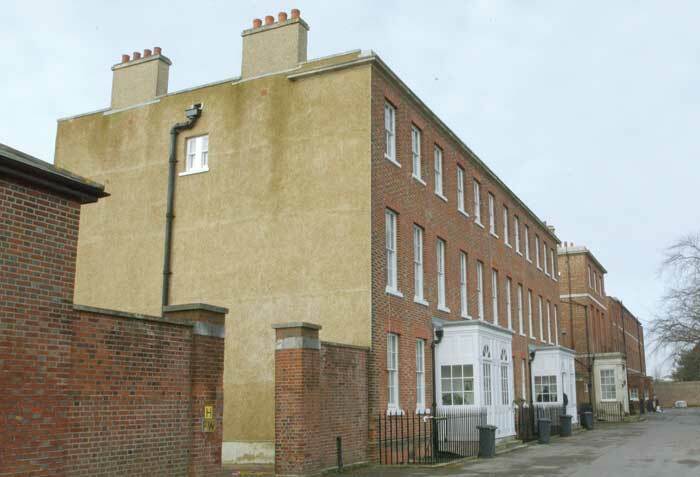 In March 1794 a general enquiry for the provision of housing the Hospital Governor took place and in October 1795 Lord Seymour and Mr Phybus of the Admiralty, surveyed Haslar and marked out the ground with the purpose of erecting houses for the Governor and other officers of Haslar. 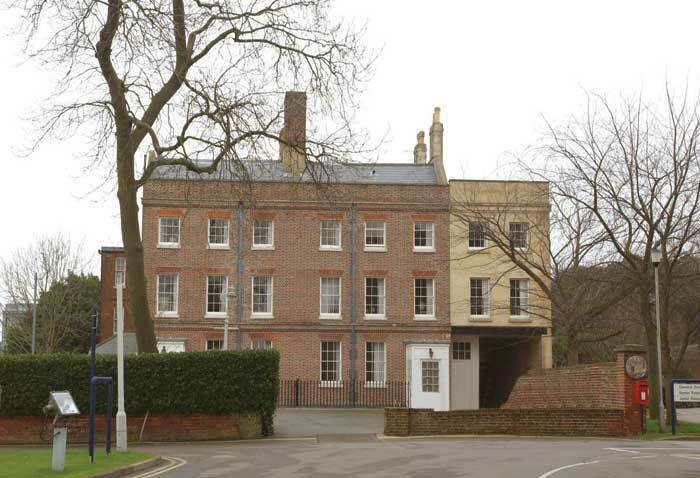 The second pair of houses built in 1756 to house Physicians and their families. You will note an addition to the side with an archway. 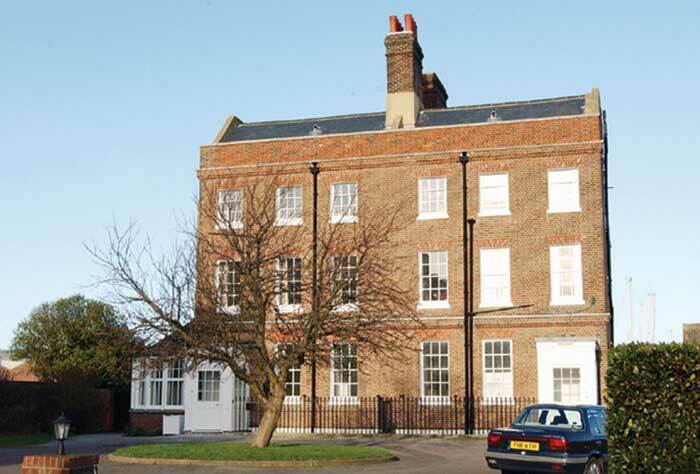 Sir John Richardson added this section during his time in Haslar (1838-1854) to accommodate his enlarged family. The building was recently restored. 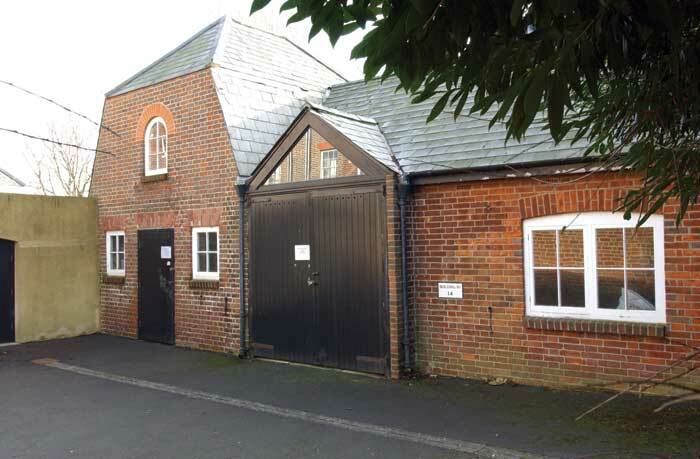 Walk under the archway and through the gate and here you will see the stables which housed the horses and gig used by the resident Senior Officer. 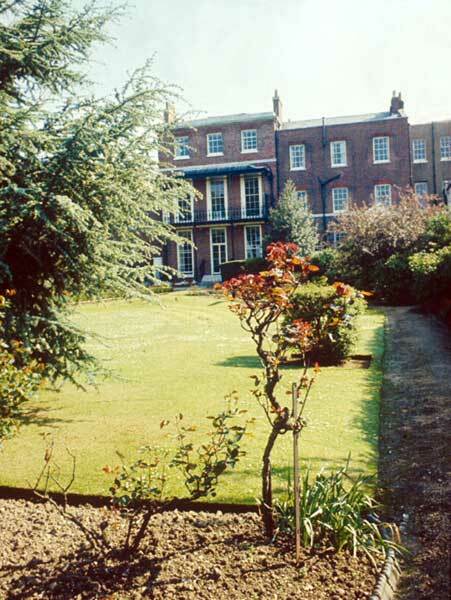 The Terrace was built and completed in 1798, on what had been the burial ground of the hospital. Numerous skeletons were exhumed during building works and for many years following, even as late as the early 1900's skeletons were found embedded within feet of the Inspector Generals front door. 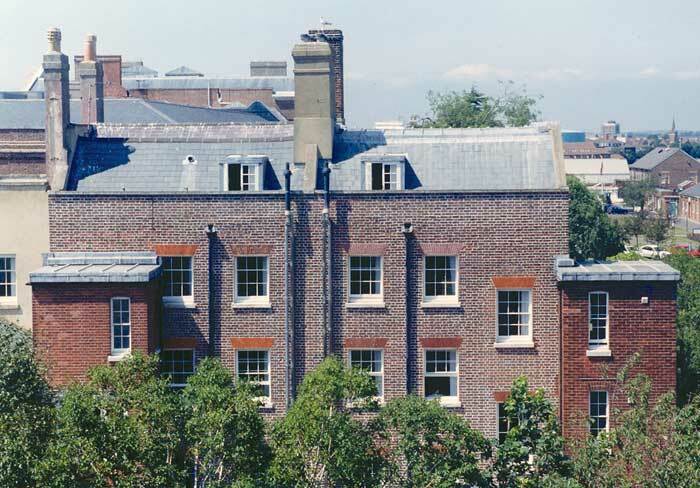 Over the years numerous complaints were made in connection with the residences. Rain came in through the sash windows; chimneys did not draw and choked those who lived in the houses with smoke, water pipes leaked and the drains smelt. 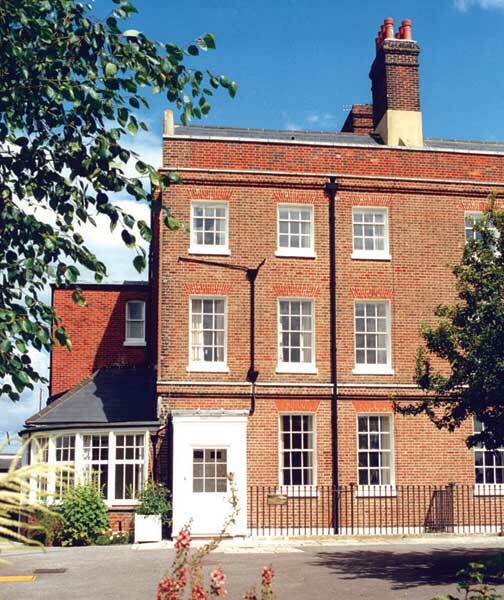 In 1800 the then Governor complained and requested of the Admiralty that "Mr Bunce" (Admiralty Architect) be stopped from making experiments which have constantly failed to make my house habitable!" 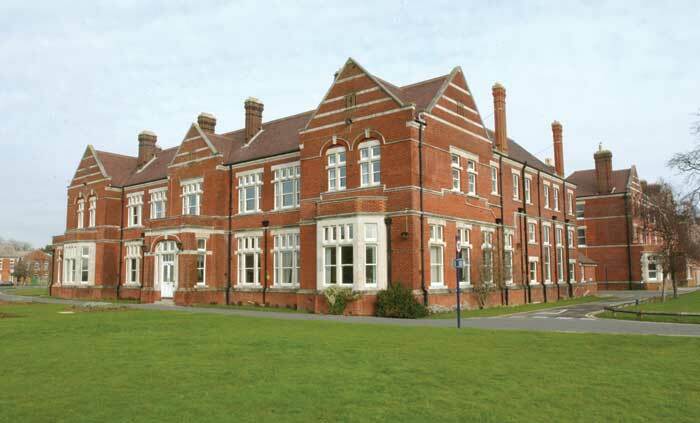 Built in 1899, opened in 1901 to house medical officers who up until this time had lived within the main building of the hospital on the corner opposite Houses 11 & 12. Built in 1917 from funds raised by the 'Women of Canada' in gratitude for care and aid given to Canadian Troops during First world War. This building was the main mess for Sick Berth Staff for many years. 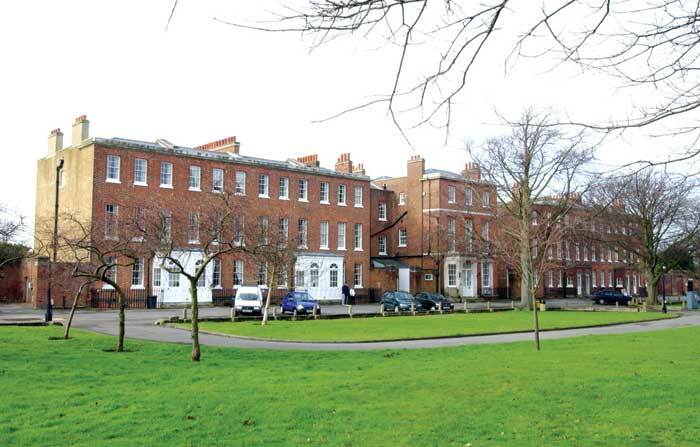 The nurses were accommodated in the block of the main hospital adjacent to Eliza MacKenzie House.